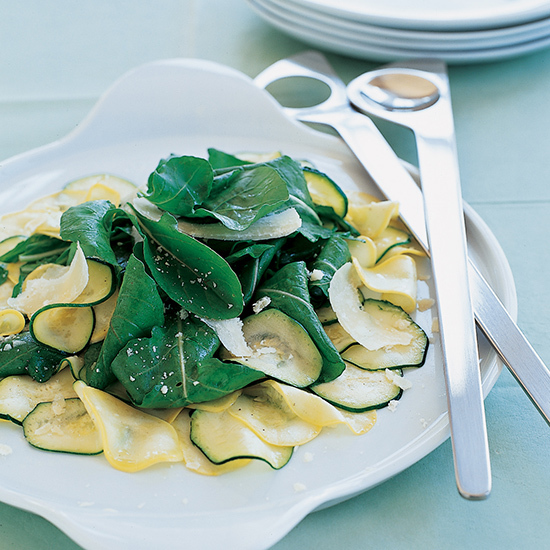 Carpaccio—thinly sliced raw fish or meat—is traditionally served as an appetizer. 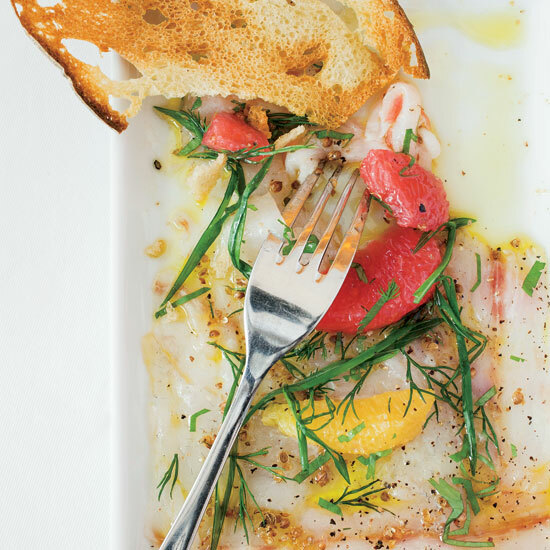 Here, delicious carpaccio recipes, from a sea bass carpaccio with coriander and grapefruit to beef carpaccio with crispy capers and rosemary. 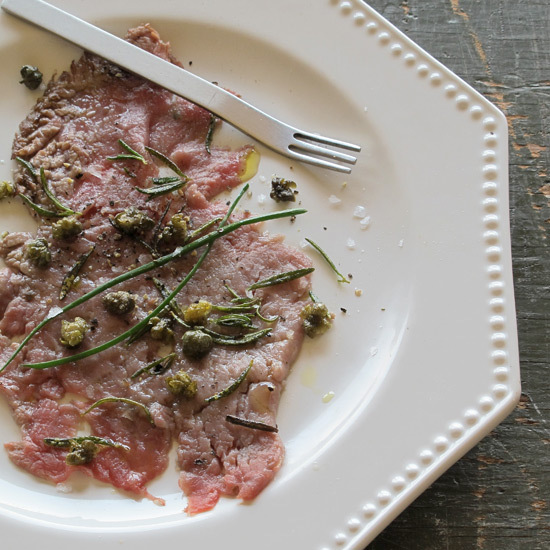 In this elegant starter, superthin, melt-in-your mouth beef tenderloin is seasoned with fruity olive oil and lemon juice and topped with fried capers and rosemary. Look for the freshest sushi-grade tuna available to make this raw dish. 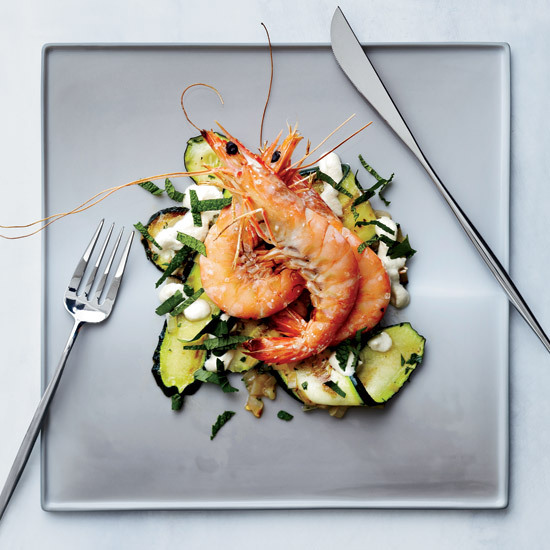 Like all raw fish dishes, this one is about the quality of the sea bass. Good olive oil is also key: Lokanta Maya’s chef, Didem Senol, uses oil her father presses himself in the south of Turkey (her family picks the olives, too). After Paul Qui won the Top Chef Season 9 title, F&W decided to throw him one more challenge: Create a dish based on four ingredients, including salmon and pork rinds. Turns out, Qui loves pork rinds. 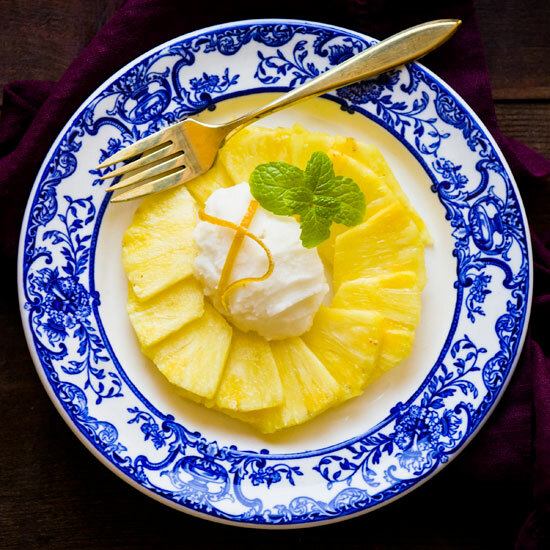 “My grandmother cooked everything in pork fat,” he says. 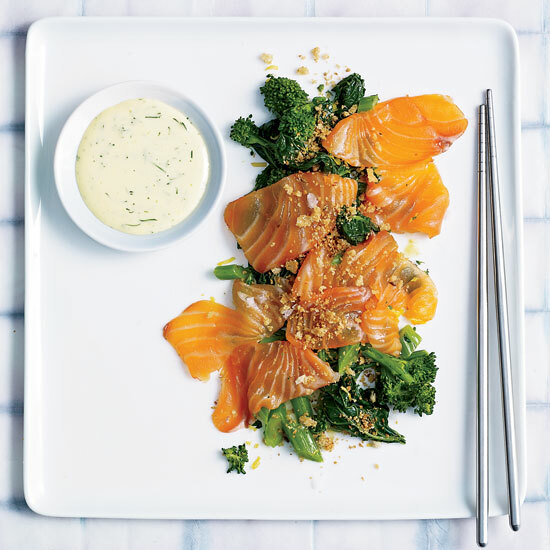 “If I was lucky, I got to snack on the rinds she made.” The Top Chef winner used them to make a brilliant crumble for salmon carpaccio (raw fish is a specialty at Uchiko, the Japanese-accented Austin restaurant where he is executive chef). 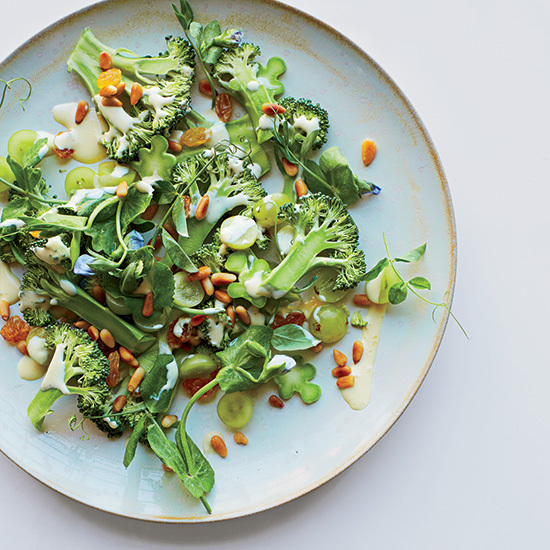 To finish the dish, Qui made a lemon aioli and served it with broccoli rabe. 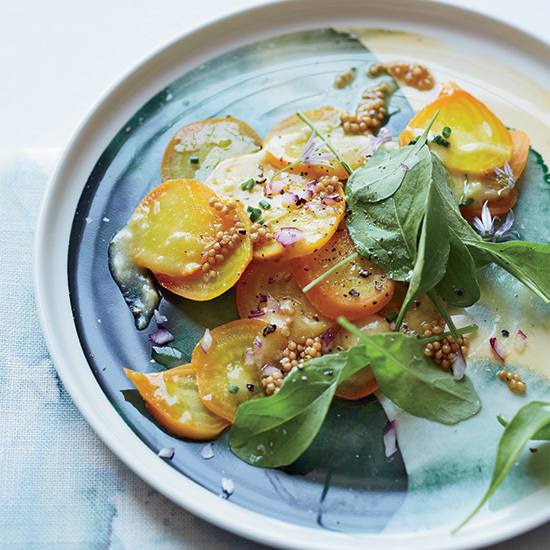 This beautiful, elegant beet salad gets topped with sweet-and-tangy pickled mustard seeds and a bright horseradish dressing. 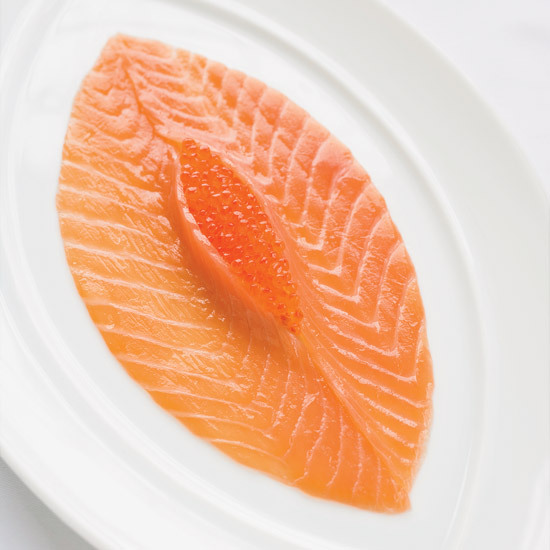 Eric Ripert pounds smoked salmon paper-thin, like beef carpaccio, then serves it with brioche and salmon caviar.